Create support spaces within a cemetery that honors the lives, service, and integrity of our Veterans while maintaining the historic ecology of the site. The entire site consists of the burial sections, administrative building, maintenance facility, committal shelter, and honor guard area. In order to create a respectful memorial for our Veterans, the site was designed to take full advantage of the picturesque setting along the National Scenic Byway. The architecture of both the administrative building and the committal shelter serve as a complimentary feature to the site. The front facade of the administrative building is a solemn space while the entrance canopy opens up, welcoming the visitors in a respectful way. The details begin to increase throughout the building, making it a livelier place as you reach the back of the building. This façade opens up with a circular view of the cemetery, allowing the visitors to celebrate the life of the soldiers. 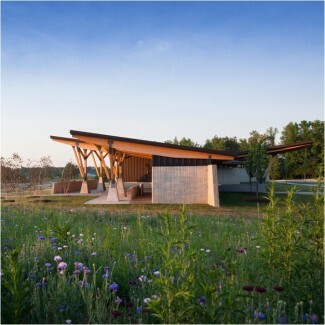 The committal shelter is a quiet, dignified, covered pavilion set in the terrain with trees and vegetation. It is intended to provide a temporary shelter for an interment service. 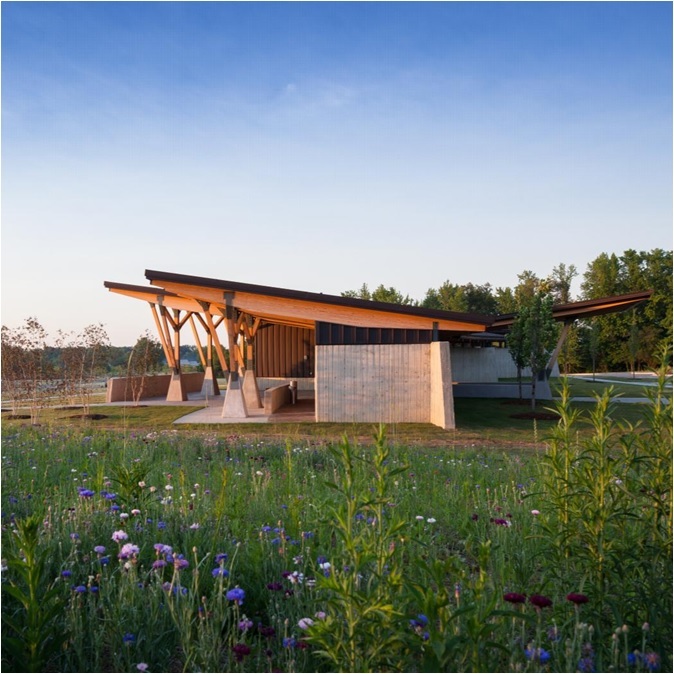 The integration of site and architecture enhances the existing site while memorializing the lives and service of Veterans.